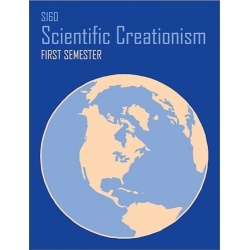 This refreshing program gives a student a basic understanding of science from the Christian Biblical viewpoint as presented in the Word of God. A proper study of these concepts helps familiarize the student with the basic body of knowledge necessary to being an informed Christian in a world of technology. This starting point course stimulates the student’s interest in science through a study of animals and insects. There are many bright graphics, exciting activities, and thorough reviews. 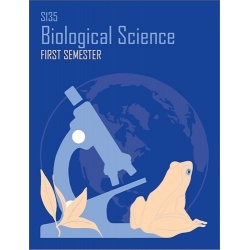 This course on natural science stimulates the student’s interest in science through a study of insects, birds, and animals. Wasps, butterflies, moths, grasshoppers, hummingbirds, and beetles are just a few of the topics covered in this course. There are many bright graphics, exciting activities, and thorough reviews. This course presents the universe as the direct creation of God. 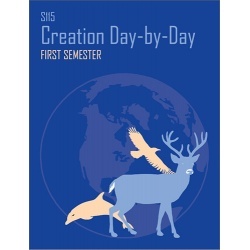 The text presents the six days of creation and gives basic information about the items created on each day. 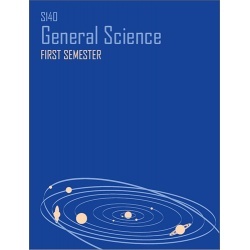 The text and activities present a basic but stimulating coverage of many different areas of science, introducing each as the creation day warrants. Students will also work through several fun and interesting projects. This course is an introductory preview of the many facets of the scientific world. Some of the topics are: forms of matter; atoms; magnets; weather; plant life; and animal growth and development. This course clearly teaches about our Creator and His special design of the human body. The skeleton, the brain and nerves, the blood and the circulatory system, the special senses, and enemies of good health are just some of the topics covered in this course. Students learn about electricity, magnets, fuels, sounds, climate, water, plants, conservation, and other topics from God’s viewpoint. This course covers The Plant Kingdom, The Animal Kingdom, and The Human Kingdom. Revised for the 2007/2008 school year, the course now includes more detailed material on each kingdom, and has many new pictures to supplement the lessons. Special projects are required in several of the weeks, reinforcing concepts taught. Students begin their study with a section on the solar system. The course also includes information on water, the earth’s crust, weather, and plants. Special projects are required every nine weeks. This course teaches the basics of physical science, including a discussion of the nature of science. It covers the scientific method, physical forces such as gravity and centrifugal force, basic chemical properties of matter, sound, light, heat, and other forms of energy. This high school biology course covers cellular structure, the chemistry of living tissues, and different phylum's of animals and classes of plants. It also discusses the biology and anatomy of the human body, as well as discussing a Christian viewpoint of biology. 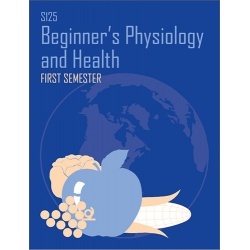 Health (S155) - This one semester course includes very practical presentations of the human body. Special emphasis is given to the importance of moral purity, including a study of God’s moral code as found in the Scriptures. This strongly Bible-based material has been preached and taught to young people with tremendous success for several years by a fundamental Baptist preacher. Dynamic Biblical Living (S156) - This Scripture-based course deals with issues vital to enabling our Christian young people to develop into solid and mature Bible-knowing and God-loving Christians. The course deals with preparing one’s heart and mind for gleaning truths from the Word of God. Then, it progressively teaches how to correctly interpret Scripture and to practically apply its teachings to our lives. This is a one semester course. Students begin their study with Special Creation – Genesis 1:1. The Gap Theory, other theories of origin, Charles Darwin, Organic Evolution, The Genesis Flood, and The Geological Column are just a few of the topics covered. Landmark’s Freedom Baptist Curriculum is the only full-line (K through 12) curriculum owned and operated by a local church. This is your assurance that the curriculum is and will remain doctrinally sound. Suitable for both church school and homeschool application, LFBC is designed to be self-instructional but is flexible enough to be used in traditional settings. Landmark Baptist Church of Haines City, Florida is pastored by Dr. Mickey Carter. "This curriculum is great! My three boys love it. I really like the layout and how easy it is to use. I am so blessed to have found this curriculum." "It is a very good home school curriculum. We have used it for many years." "I have ordered a couple of the elective courses for my high school daughter and have been more than pleased with the content! Not to mention their super fast shipping!" "I love this curriculum. Easy layout. Fast shipping. Economical...to include student test and answer key!!!!! Oh and I love that the answer keys are now in book format versus loose. Oh and can't forget all KJV!" "I used this curriculum during elementary and high school. I am now a second generation user as I am using it to homeschool my daughter! There are so many great things I can say about this curriculum but I absolutely love the fact it is KJV only!"